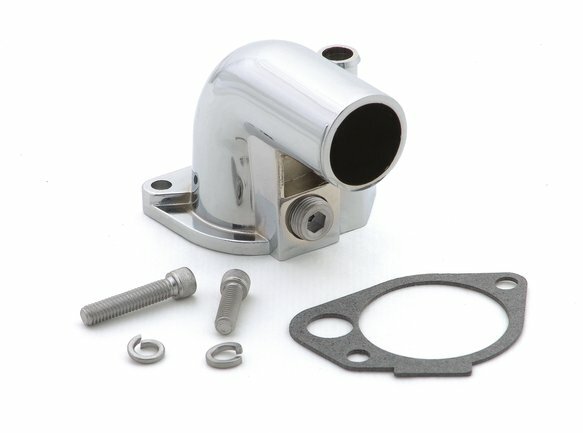 Chrome plated water neck for Ford engines. Fits Ford 302, 351W engines from 1979-95. Includes gasket and hardware.